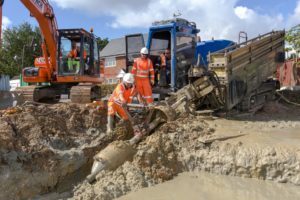 OnSite Trenchless (Formerly Perco) are specialists in a wide range of pipe repair and installation techniques including Horizontal Directional Drilling (HDD). 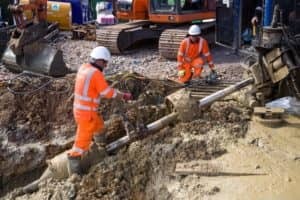 Based in Nottingham, OnSite Trenchless undertakes pipe repair and installation services throughout the UK, for a wide range of clients. Horizontal Directional Drilling is widely used for the installation of pressure pipes (water, rising mains, gas, oil and cement pipelines), electricity and communications cables. 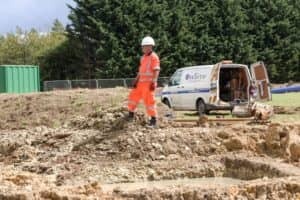 Where circumstances dictate and on larger schemes, OnSite utilise the very latest mud recycling systems. Efficient use of these can result in reduced slurry disposal and reduced waste costs.